HLA typing was done for Thalasemia Patients at LSCH on 13th march 2019 between 12 pm and 6 pm. 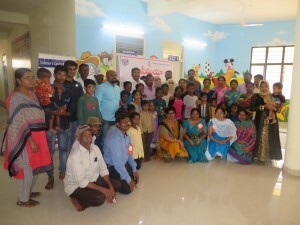 This was organised in association with Histogenetics India PVT LTD, Thalassemia community, Centre for Thalassemia and Blood Disorders, Little Stars Children’s Hospital and Red Cross Blood Bank. 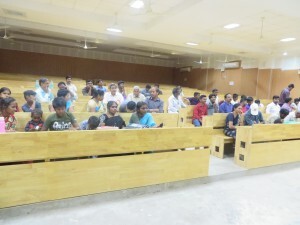 30 families along with kids attended the camp . Buccal Swab was collected for both Donor and Patients and sent to Histogenetics. Mr Hemanth Kumar , Mrs Jaya Daayam and Miss Rani, Mr Sreenu , Dr Jasmine volunteered in the activity and helped in smooth conduct of the program. Dr Gayathri, Miss Maya and Dr Ramana met the patients at the camp and motivated them. 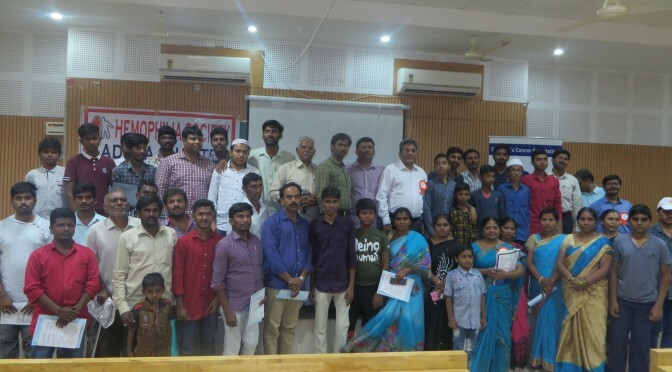 Hemophilia Society, Kadapa chapter organised an awareness program for Hemophilia patients on 3rd march and around 30 patients and families attended the event. 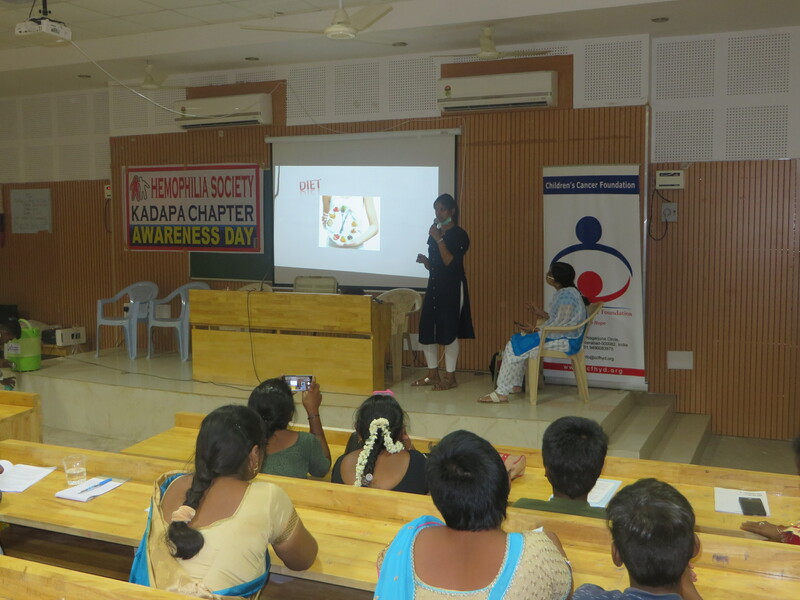 Dr Ramana, Dr Mounica, Kadapa Chapter members talked about Hemophilia care and it was an interactive session. Patients participated well in the activity. Medical camp was conducted at Kadapa for Thalassemia Patients on 3rd march at RIMS hospital. 42 patients and families came for the camp and got medical investigations and check up done. 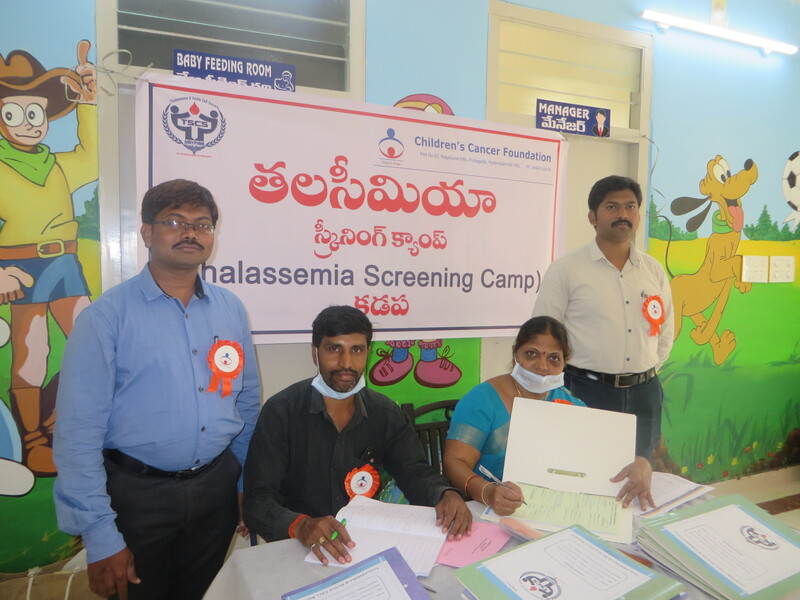 Dr Ramana, Mr Hemanth , Mrs Jaya , Mr Kishore and Mr Ravi participated in the clinic activities and guided the patients and families on management of Thalassemia. 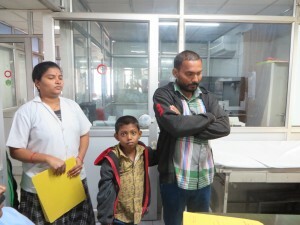 Drug Administration, Hygiene, Dental care, Transfusion care and Diet were explained to the patients. 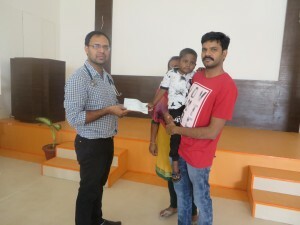 6 patients received financial assistance for treatment for blood disorder. Each of them received Rs 25,000 from CCF. 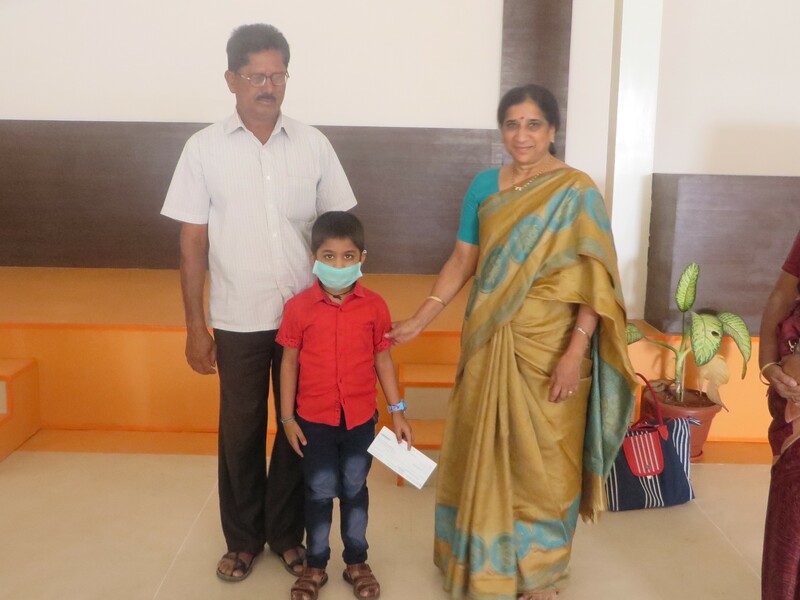 Mrs Vani kantamneni had come to visit the children and gave the cheques to them. Dr Ramana, Dr Murtaza, Mrs Jaya, Mr Hemanth volunteered to guide Thalassemia patients for the monthly free clinic at CTBD. 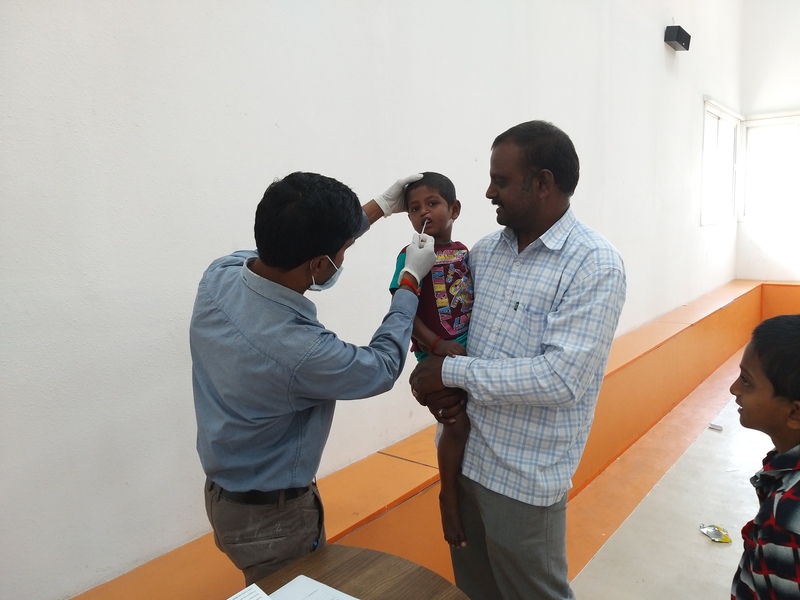 CCF organised free clinic for Thalassemia patients at Redcross, Vidya Nagar on 13th feb 2019. 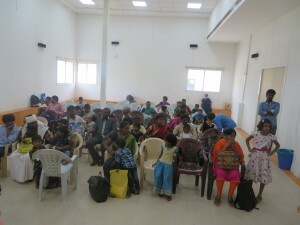 12 patients with families had attended the clinic . Dr Ramana, Dr Srikar and volunteers from Redcross and LSCH participated in the activity and guided the patients on management of Thalassemia. CCF supported Master Sai pavan who is undergoing treatment for ALL at LSCH. Thalassemia clinic was organized in association with Centre for Thalassemia and blood disorders at Life line Tapadia on 30th Jan between 3pm and 5pm. 7 patients with families attended and were given guidance on management of Thalassemia. Dr Ramana (Hematology), Dr Gayathri (Hematology, Dr Murtaza Kamal (Cardio), Dr Srikar(Dental) , Mrs Jaya, Mr Hemanth, Mrs Jayanthi, Mrs Bharathi. Ms Rani participated in the activity. CCF supported Master M Sadaf for treatment for AIHA . 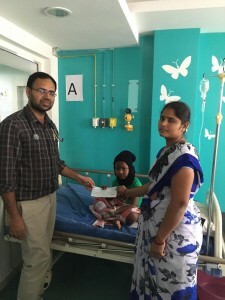 He received free medicine for the treatment.